Search Engine Optimization Expert Breaks Down The 3 Pillars Of SEO. Last weeks episode of The Expat Money Show Stephan Spencer and I spent our time together talking about how what he did in his personal life showed up so dramatically in his business life. How his love of seminars, books, and conferences has made him such a powerhouse in the world of SEO. In this episode of the Expat Money Show Stephan Spencer gets down to the nitty gritty Science of SEO; how it works, why it works, and most importantly can you do it yourself? Then Stephan breaks down the 3 pillars of SEO and how to conceptually think about them when you produce content. What the heck is SEO and why is it so important? Stephan explains that SEO is such a massive subject, with layers upon layers of understanding that it takes years to really master this Science. And he feels that if you attempt to do it by yourself, or you hire someone that doesn’t really understand SEO, you could do more harm than good. Often an expert in SEO is needed to be called in after you’ve tried to do it yourself and the process can take months to correct. What ARE the 3 pillars of SEO? And can you Break down the 3 pillars of SEO? What can I do to rank higher on Google? What is ‘Black Hat’ and ‘White Hat’? How do I hire someone I can trust to do my SEO? How long should it take for a website to rank #1 on Google? Are you thinking about that one big question, same as me? What about ranking higher for your personal name? On The Expat Money Show, I aim to bring in the best Entrepreneurs from around the globe who are doing some really incredible things. As we learned in episode 026 and 027 Stephan Spencer is the #1 SEO Marketer in the world and for a good reason. His life story is compelling and inspirational. Lately, I’ve been getting a ton of mail about the last question I pose to my guest at the very end of each episode. (No hints). I have to laugh because it’s so much fun to spring this question on my guests and listen in for their reaction. Make sure you listen all the way to the end of my podcast because my question, and Stephans answer, are just awesome!! I am so excited that Stephan agreed to come back to The Expat Money Show to really let us see into his world of SEO and to break down the 3 Pillars of SEO.  Listen to the stories he tells, I hope you get as much value from this Podcast Episode as I did… and if you would like to stay up to date with all new content that comes out at The Expat Money Show make sure you sign up to our Newsletter below. Some of my best stuff comes out by email and I don’t want you to miss it!